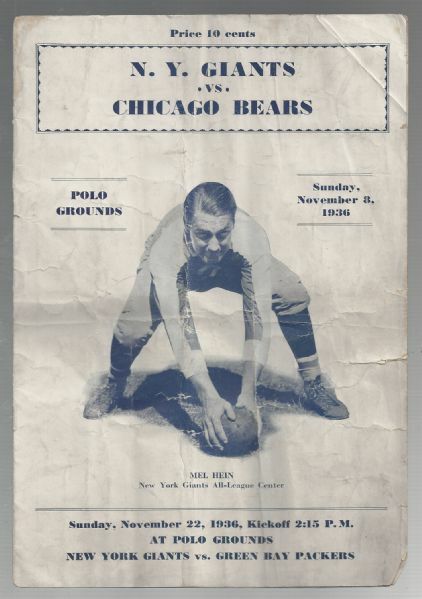 1936 NY Giants vs Chicago Bears (Early NFL) football program at the Polo Grounds. 11/8/36. Mel Hein on cover. (8) pages including both covers. Full and complete. Has both vertical and horizontal creases that run from cover to cover. Tremendous, early NFL program. Good.